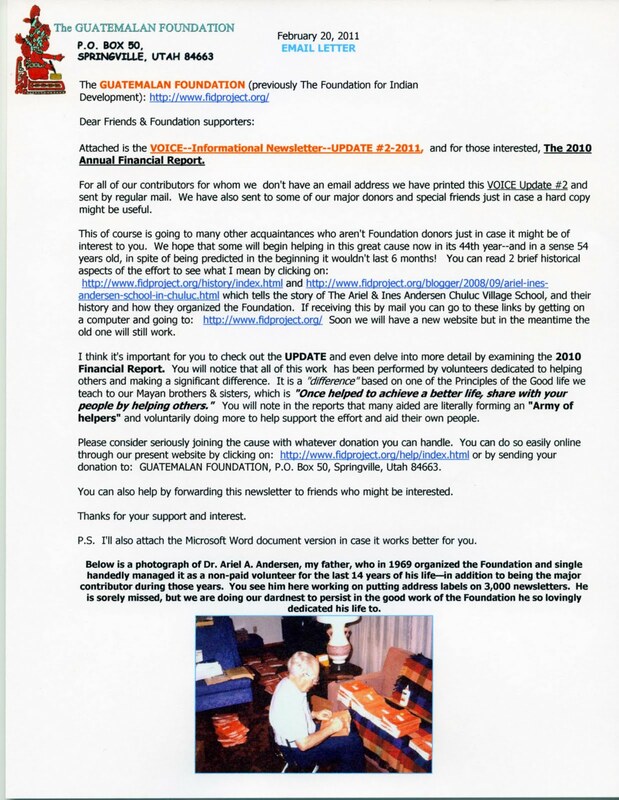 The email cover letter can be seen after the newsletter. "FINISHING A GOOD YEAR & BEGINNING A BETTER ONE"
The Emergency Aid project is described in which 37 of the most needy in Santa Cruz Verapaz were given gifts of needed items like blankets. 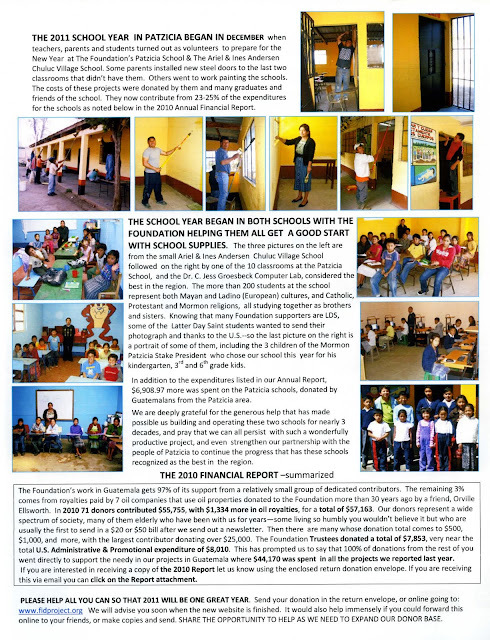 Then Federico Veliz went to work to begin distributing school supplies to over 5,000 children in the government's rural schools. 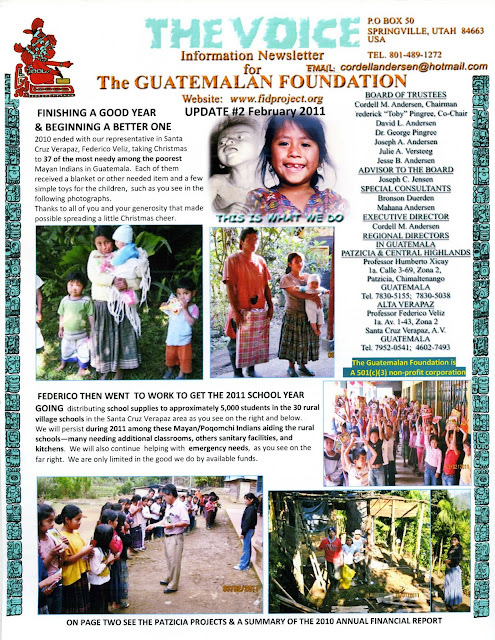 This page describes the volunteer efforts to prepare the Patzicia schools for the new school year and shows a few in class. Last of all is a photograph of the Mormon students at the school who wanted to give special thanks to all of us who have helped make possible them getting a good education.